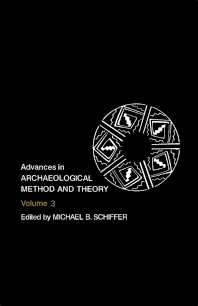 Advances in Archaeological Method and Theory, Volume 3 presents the progressive explorations in methods and theory in archeology. This book discusses the general cultural significance of cult archeology. Organized into nine chapters, this volume begins with an overview of the spectrum of professional reactions to cult archeology. This text then examines the applicability of evolutionary theory to archeology. Other chapters consider the fundamental principles of adaptation as applied to human behavior and review the state of application of adaptational approaches in archeology. This book discusses as well the convergence of evolutionary and ecological perspectives in anthropology that has given rise to a distinct concept of culture. The final chapter deals with obsidian dating as a chronometric method and explains the problems that limit its effectiveness. This book is a valuable resource for archeologists and anthropologists. Graduate students and archeology students will also find this book extremely useful.